This is the main entrypoint of the vice-registry. ViCE registry supports declarative images (e.g. 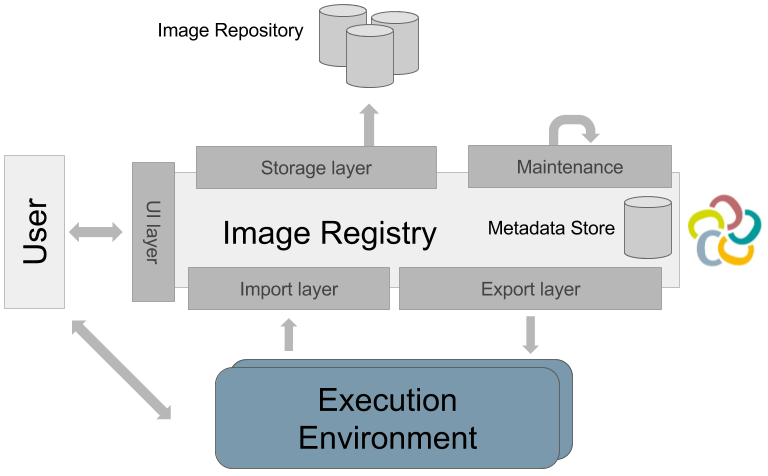 Packerfiles, Dockerfiles) and implicit images (e.g. virtual machine disk snapshots, docker images). The current version supports OpenStack Glance and bwLehrpool as execution environments. A detailed documentation is available here. The most recent versions of ViCE registry builds automatically and is shipped through Docker Hub. To set up the ViCE registry, the docker-compose.yml file in this repository can be used to start all the necessary containers via a simple docker-compose up. vice-registry is maintained by vice-registry.